B-135, Sector-2 Noida - 201301, U.P. Neotech Infrastructure Pvt. Ltd is a renowned name in the real estate industry in India. It was established in 2012 as a real estate development company and since then has reached new heights of success. The mission of this real estate company is to scheme sustainable development in the real estate sector by introducing continuous innovations and the best practices to help ensure quality lifestyle for all its consumers all across the country. They aspire to be one of the best real estate development companies in the country by understanding the needs of the consumers and fulfilling these needs effectively and speedily. Their vision is also to provide value housing in Tier I and Tier II cities. 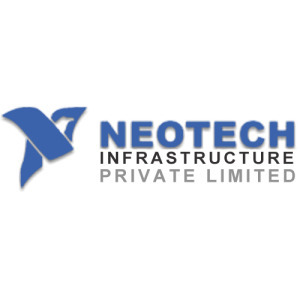 Neotech Infrastructure Pvt. Ltd has constructed several projects all over the country. Some of their most notable residential projects are Himalayan Estate, Casa Green, Neo Greens and Green Avenue. Both their residential and commercial projects are spread across the country in Lucknow, Noida, Greater Noida and many more cities that are strengthening the presence of this company. Their projects have had excellent turnovers as they adhere to high quality standards in maintaining and delivering complete customer satisfaction. Headed by industry veterans Neotech Infrastructure Pvt. Ltd has scaled great heights under the able guidance of Mr. Kashif Khan, Ms. Taran Chhabra and Mr. Shahid Khan. Along with a team of highly qualified architects and consultants, they are committed to deliver environment friendly projects for their clients.